in such incompetent manner on June 25, 2009, that if Michael Jackson was found by a layperson instead of Conrad Murray, he may have been alive today. Murray took his sweet time calling 911 when his patient was dying under his care. He didn’t have, in his possession, medical equipment necessary to resuscitate Michael. There was only a small window of opportunity for him to get paramedics to the scene. Even a small child or a layperson knows to call 911 immediately when a person is in distress. 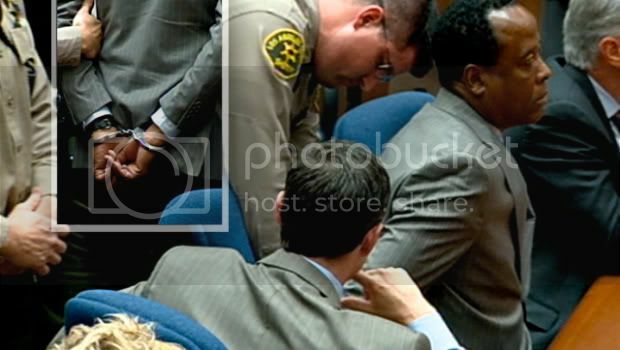 The following videos should put Conrad Murray - a "doctor"- to shame! CPR doesn't bring anyone back, it buys time until paramedics arrive with advanced life support. CPR alone is successful only %2 to %4 percent of the time. Paramedics arrived to Michael's home in less than 5 minutes. If Murray showed the common sense to call 911 promptly, the survival rate for Michael would have been higher. Talk about sheer incompetence, lack of judgement and disregard for human life!!! The only thing more appaling than Murray's imcompetency in CPR was his attorney spreading this improper CPR method amongst public as if it was an acceptable!!! Chernoff was better off conferring with a medical expert before he started stuttering!!! Chernoff contradicted himself on how long Murray performed CPR before calling 911. 25-30 minutes or 5-10 minutes? the combination of rescue breathing and chest compressions. It substitutes the victim's breathing and heartbeat until paramedics arrive with advanced resuscitation equipment. For chest compressions to work, the patient has to be on a hard surface. Compressions on a soft surface only pushes the patient’s body down into the bed, therefore is fruitless. of medicine with the other hand. How many hands Murray has? One hand compressing heart, one hand supporting Michael’s back, one hand checking for blood flow, one hand giving Alvarez viles of medicine. Murray botched CPR way before the chest compressions on the bed. The purpose of rescue breathing is to supply oxygen into the victim’s lungs, the purpose of chest compressions is to keep the blood circulating through the body so oxygen reaches every parts of the body. The air that we exhale is %16 oxygen and it is vital to perform rescue breathing when someone stops breathing. When a person is deprived of oxygen, permanent brain damage begins within 4 to 6 minutes, followed by death. If there is pulse, continue rescue breathing ONLY until the patient starts breathing on his own or the paramedics arrive. a patient with pulse is highly dangerous and may cause faintly beating heart to stop beating. Michael wasn’t breathing but had a weak pulse. He had respiratory failure, he needed oxygen. Murray should have immediately perform rescue breaths instead of "one handed CPR"! It is moot to circulate blood that lacked oxygen! It is like rescue breathing for someone who can breathe! chest compressions without pulse checking. It is important to note that the new guidelines are for laypersons and cover cardiac arrest victims. The new procedure reasons that since there is no heartbeat, laypersons can do no further harm by compressing the heart. Michael Jackson had a pulse and Conrad Murray isn't a layperson. of the “treatment”. Why didn’t he, at least, provide Michael oxygen by mouth-to-mouth? "DOES ANYONE IN THE ROOM KNOW CPR?" "I WANT TO GET TO MY CAR, I AM HUNGRY"
"HE IS LYING, HE IS TRYING TO SAVE HIS BEHIND"
Click on following images to enlarge, If you need to. SUSPEND HIS LICENSE & SEND HIM TO CPR COURSE!